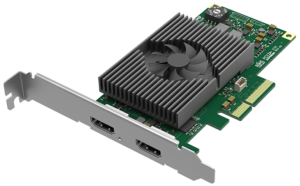 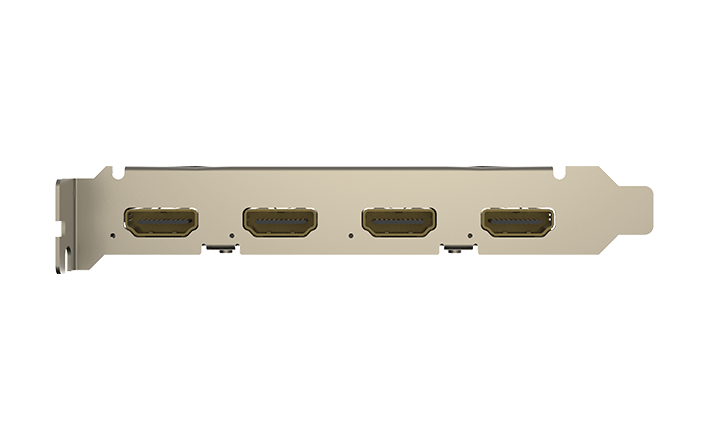 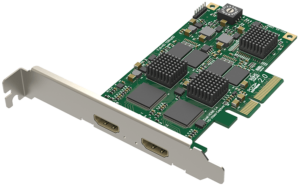 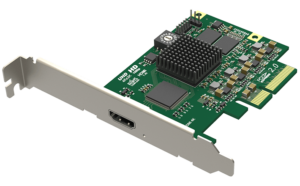 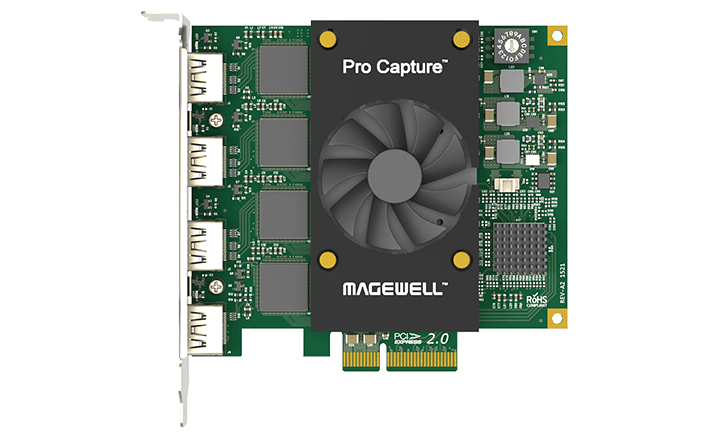 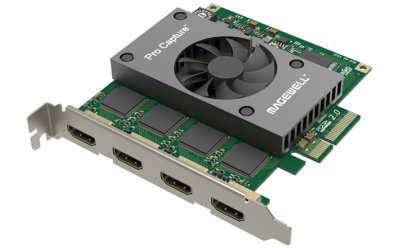 The Pro Capture Quad HDMI is an ideal solution for applications that require the capture of quad HDMI sources plus embedded audio (x4) in real time. 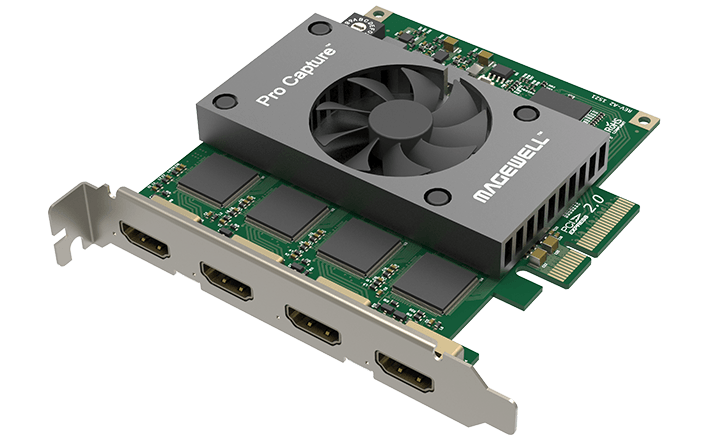 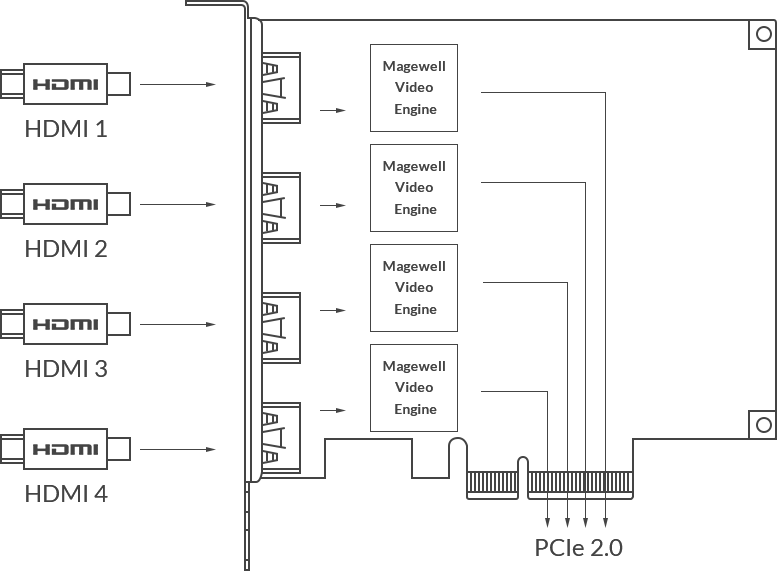 Typical applications include: Viewing HDMI sources from PCs, MACs, Industrial/medical equipment, cameras, game consoles and other video equipment. 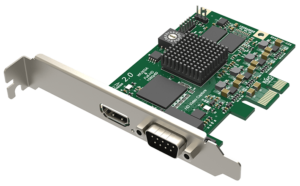 Also includes Streaming video or Broadcasting applications.